This 2014 CR-V was originally purchased here, serviced here, and traded back to us when the previous owner moved into a 2018 CR-V. The EX-L model is very nicely equipped with a full Leather interior, Heated seats, Sunroof, Bluetooth, Back-up camera and more. This CR-V is accident history free and finished in Dark Cherry Pearl with a Grey Leather interior. The All-season tires on the vehicle are brand new and the front brakes have approximately 70% life left and 80% in the rear. Rally Honda has been in the same location since 1979 serving Smiths Falls, Carleton Place, Perth, Merrickville, Kemptville, Almonte, Lanark, and more. Now owned by Barry Rivington, which has been in the automotive industry since 1982. 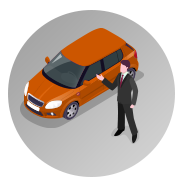 All of our used vehicles undergo a thorough mechanical inspection with strict reconditioning standards. 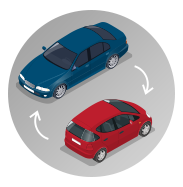 CarProof vehicle history reports are available on all of our used vehicles. 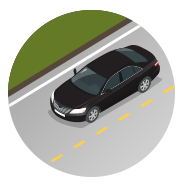 We have a Complimentary Service Loaner program to not disrupt your busy day and commute when your vehicle needs servicing. We can be reached at sales@rallyhonda.com or 1-800-267-9256. Interested by the 2014 Honda CR-V EX-L ?